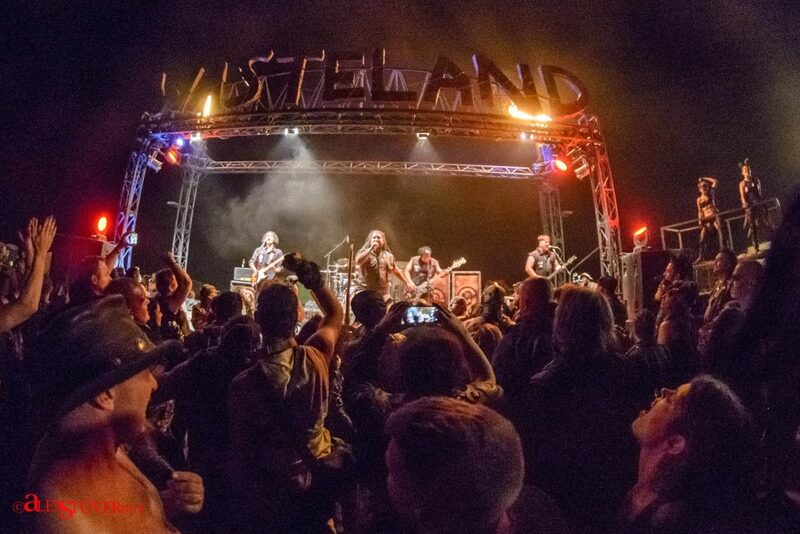 Wasteland Weekend 2018 features an incredible lineup of post-apocalyptic entertainment! 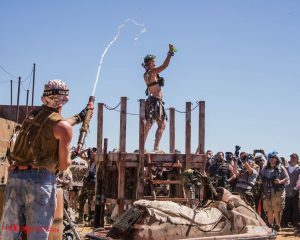 Printouts of the schedule will NOT be available onsite but you can see the latest schedule at the Command Center and on the big activities boards at the DXC camp in Wasteland City. 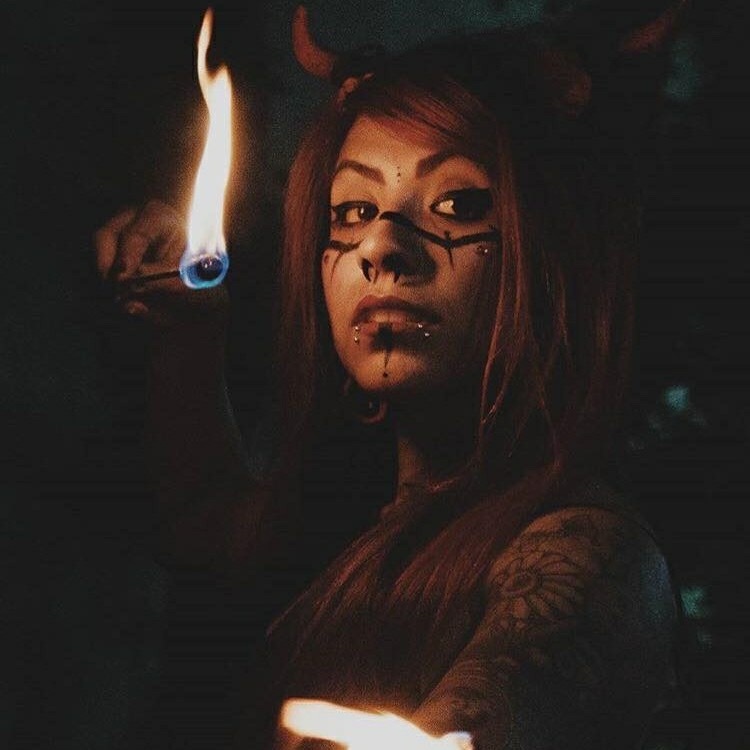 All attendees are welcome to join in at the free fire spinning area “HADES” (look for it on the MAP at the Southeast corner of the “Rolling Thunder” area). 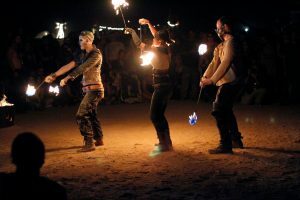 Many types of fire spinning, practicing, instruction, and performance are allowed, but no mechanical fire devices. 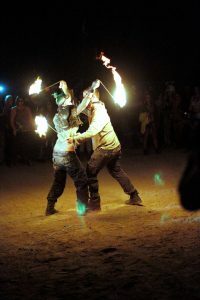 Full rules and hours will be posted on site and overseen by our fire performance safety team who are always in the area. 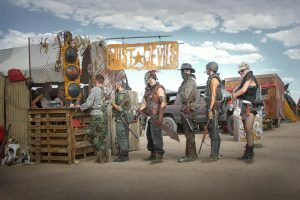 Started in 2017, we bring a taste of the Wastelanders Ball to Wasteland Weekend! 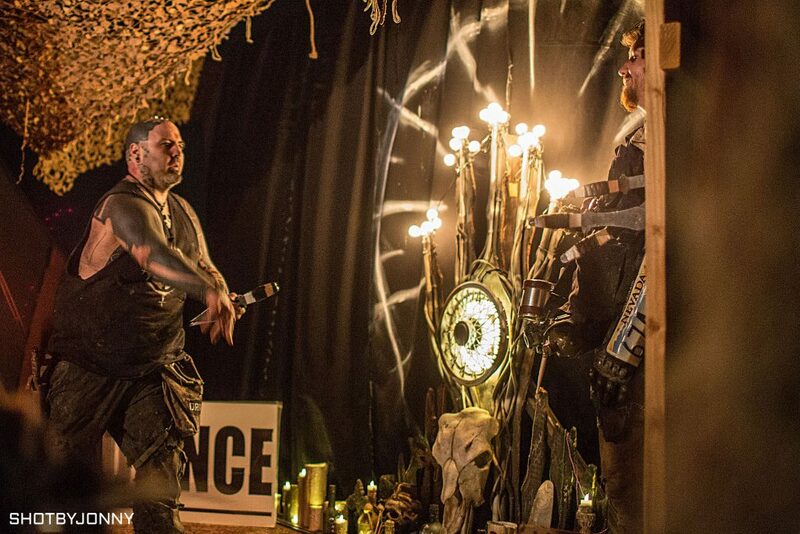 Friday night, at the main stage and the Atomic Cafe (and wherever else you want to wander), wear your most elegant/distressed wasteland attire. 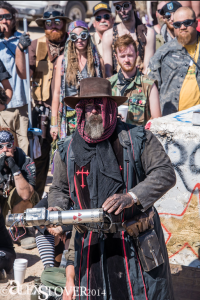 (Wasteland costume theme rules still apply, it’s just a chance for you to make them more “fancy”). Anyone may join and it is not a closed off event. 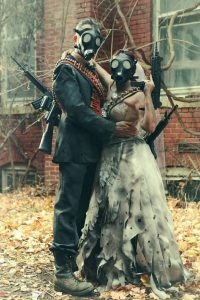 There will also be a special champagne cocktail at the Atomic Cafe (while they last), only for those in wasteland formal attire. 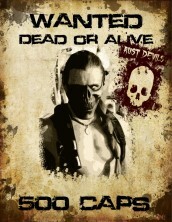 Basically, it’s just a suggested costume theme for the evening, nothing else and no special requirements or tickets. 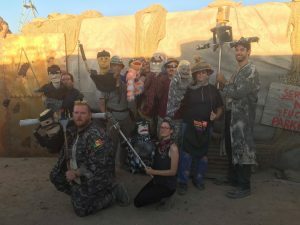 Some of the tribe camps get into the spirit and throw Friday Formal events as well. 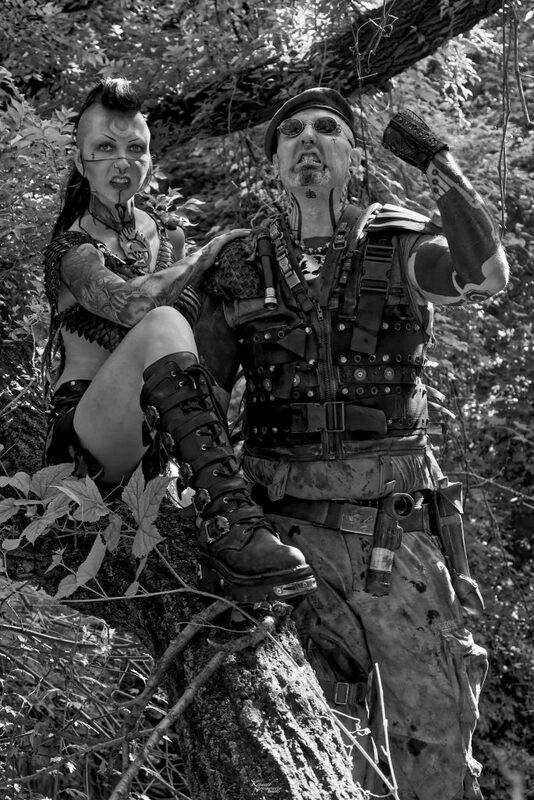 This year, we’re planning a special portrait area at the Command Center so we can see your looks! 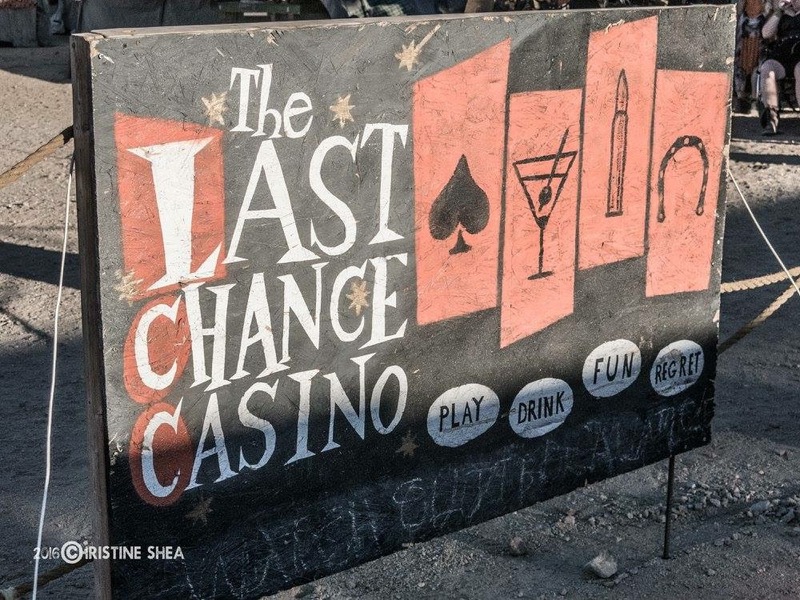 Our very own Wasteland casino returns yet again. 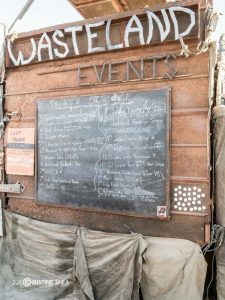 One of the most popular hangouts in Wasteland City. 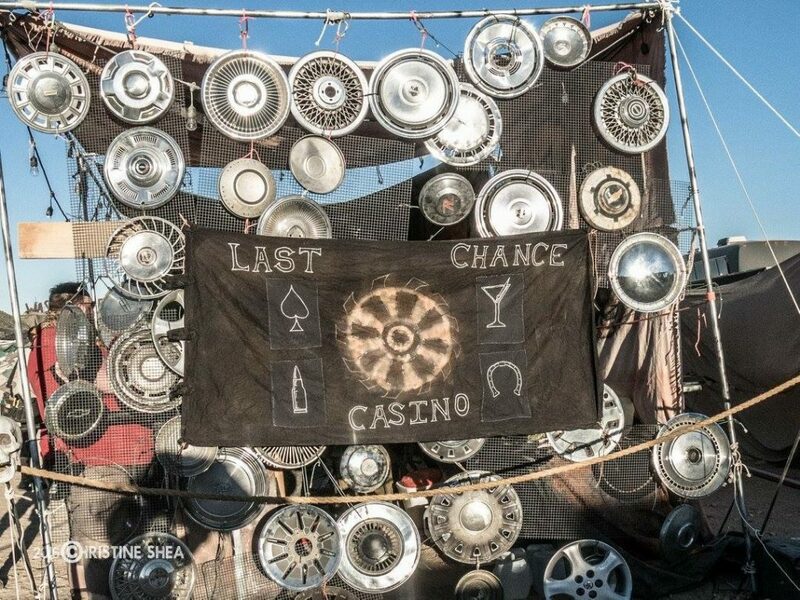 Bet your bottlecaps (only casino-issued LCC bottlecaps will be allowed) on the games of chance. Spend them on incredible (or incredibly ridiculous) prizes at the casino auctions. 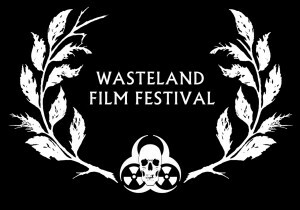 A showcase for the best new original post-apocalyptic shorts, plus other films to help you escape into the wasteland of the mind. 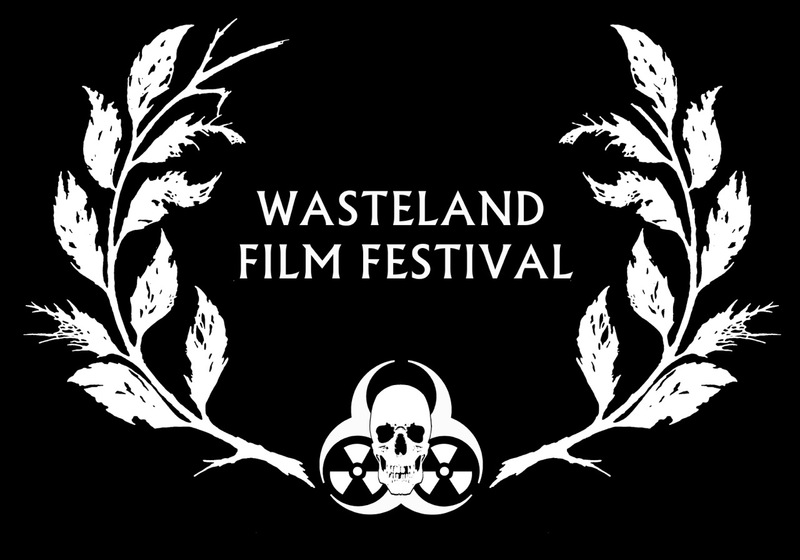 And in 2018, the Wasteland Film Festival will be during the day, in an AIR-CONDITIONED tent! 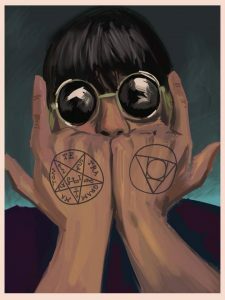 More info HERE and on Facebook. A favorite each year. 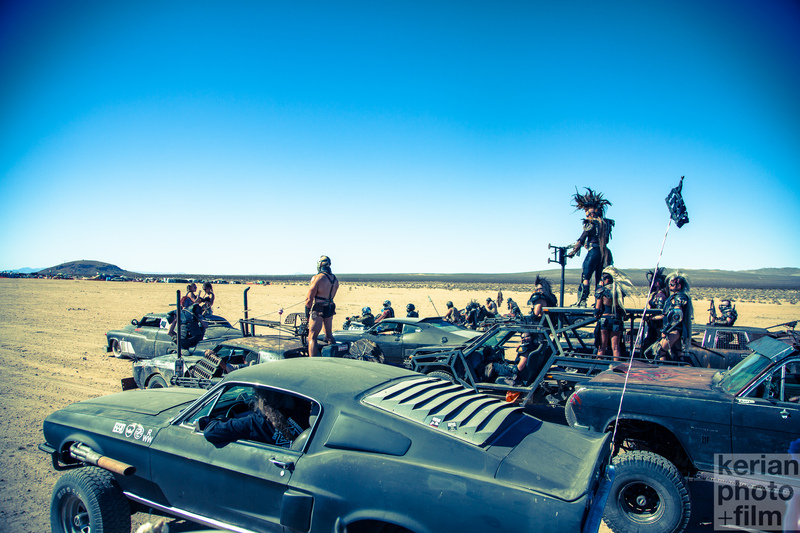 A low speed vehicular parade around the adjacent desert, with great opportunities for taking photos and video, and looking (not to mention feeling) totally badass. Once again, we will have both a cruise and static car show with judges giving out awards for the best vehicles (including a motorcycle category). 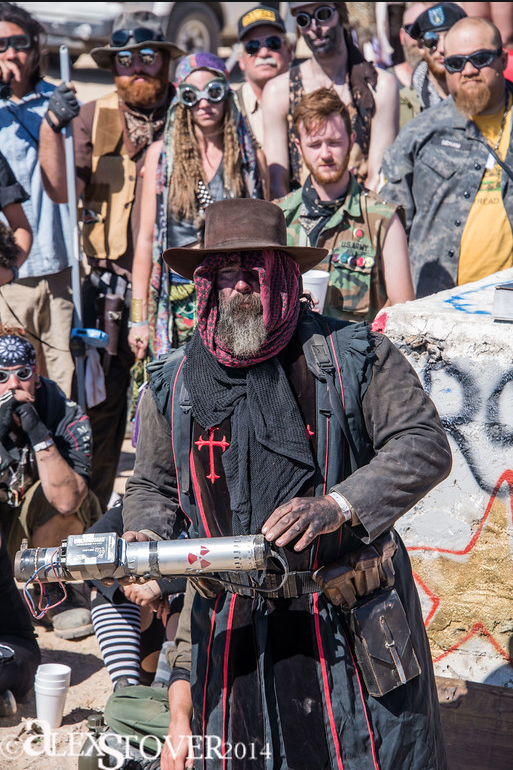 Wasteland holds the world’s greatest post-apocalyptic costume competition. 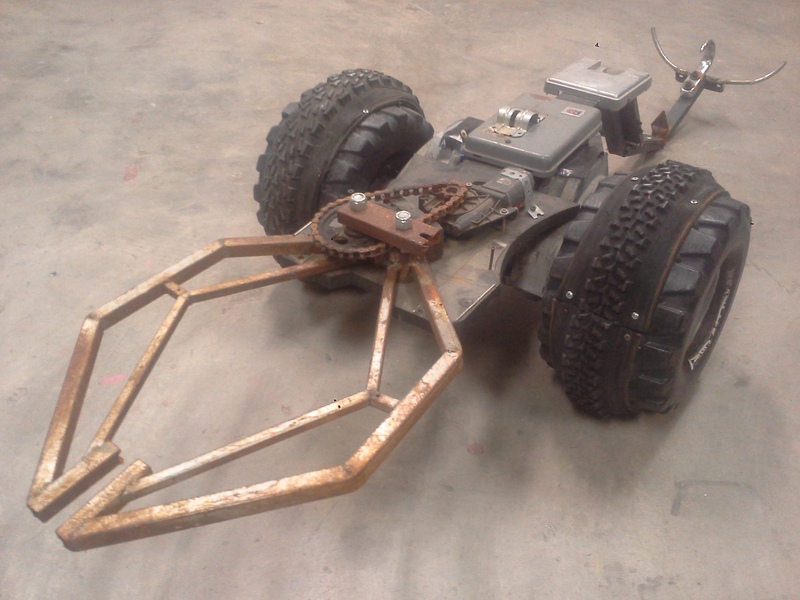 As always, we will have both an original and replica category. Replica costumes are anything from an existing movie, videogame, etc. To enter, just be at the main stage a half hour BEFORE the competition begins (the judges want you gathered for PRE-JUDGING, so that awards can be handed out shortly after you all walk the stage). 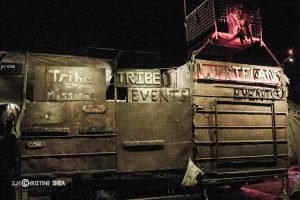 More info at the tribe’s page. 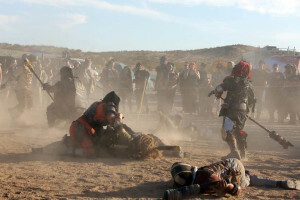 Returning yet again, it’s that mound of mayhem, that bubble of trouble, that hemisphere of heinous harm! 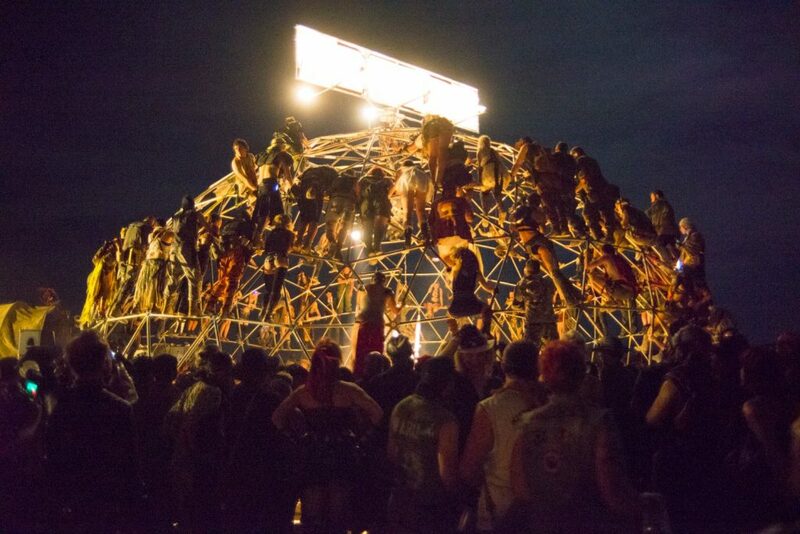 Welcome to another edition of Thunderdome! 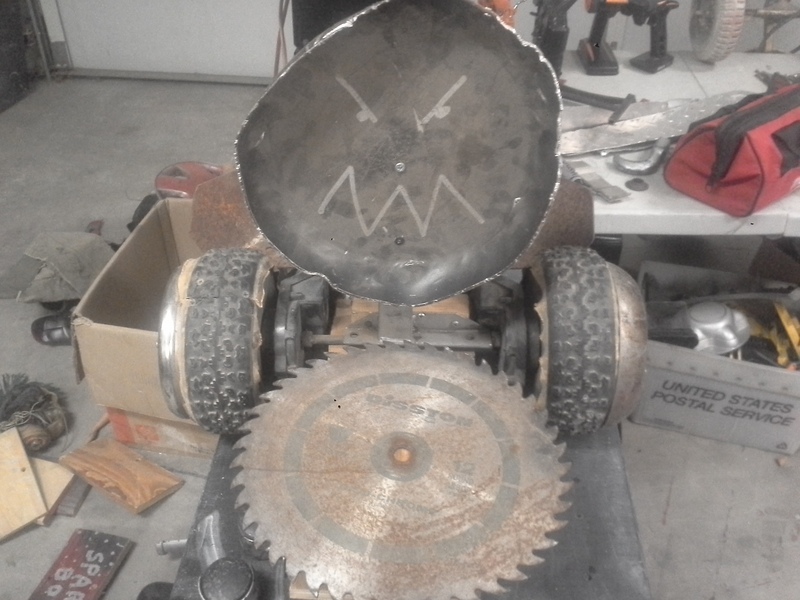 SMASHBOTZ! 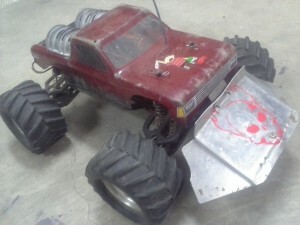 and the RC car Death Race! Featuring a no-holds-barred demolition race of Mad Max-style RC cars and traditional battle robots. 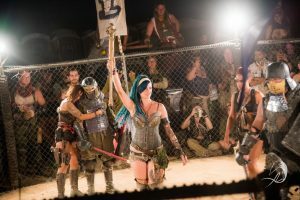 The legendary post-apocalyptic belly dance ! 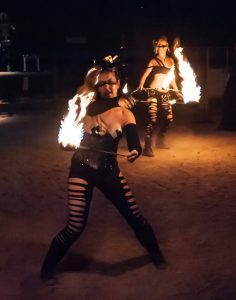 The Hell’s Sirens production is organized by Saahirah Syn who offers a rotating cast each year featuring some of the most talented dancers in the world (or what remains of it). 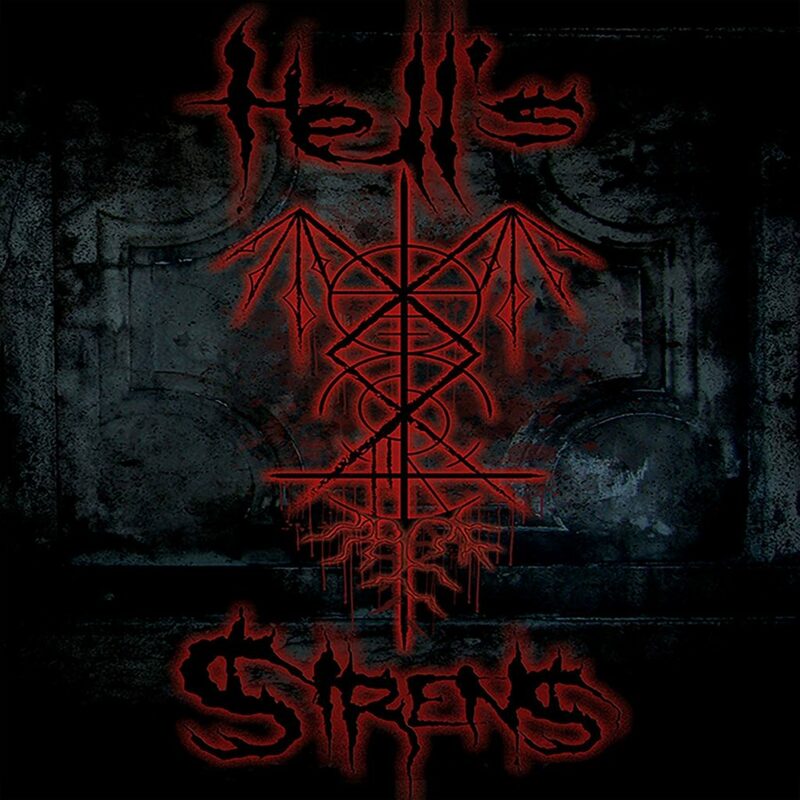 Hell’s Sirens trademark air raid sirens will sound at the beginning of their performances, so when you hear the sirens call head to the main stage! 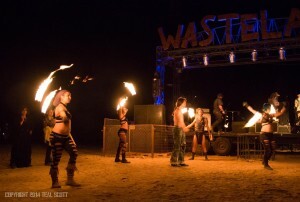 This collective of talented aerial artists have journeyed from the Reno-Tahoe radlands for their second Wasteland appearance. 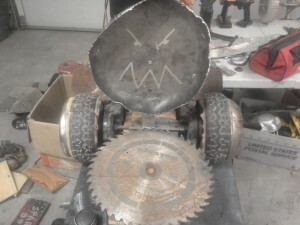 They’ll mesmerize you each and every night to the throbbing sounds coming from the PIT. Look for them up on THE ROOST. 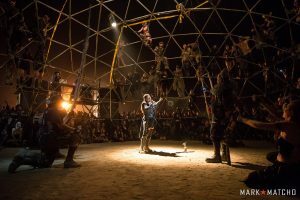 Our aerial rig installation where our lithe and limber aerialists perch themselves to touch the sky. 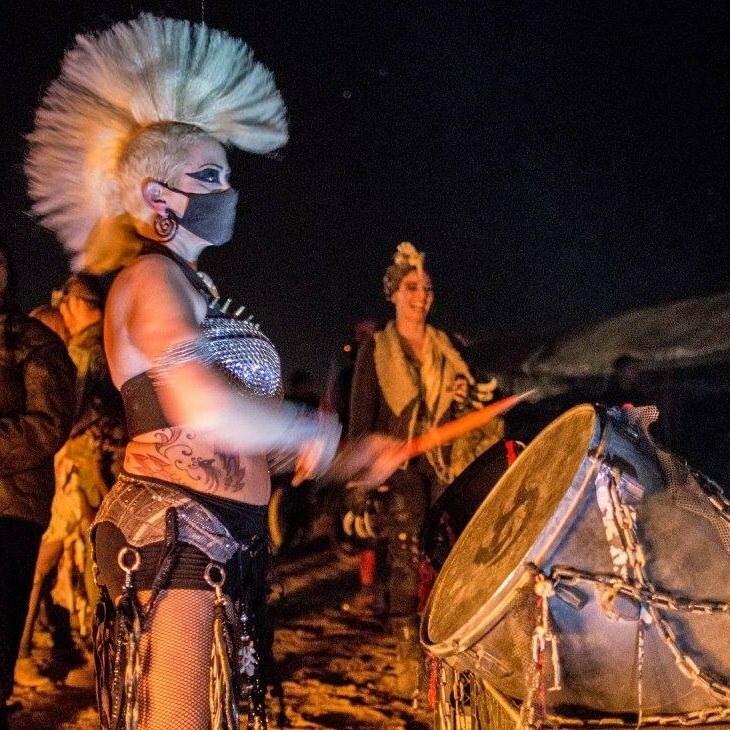 Fire, drums, aerial acts, the veteran Wasteland performers from the Badlands bring it all! 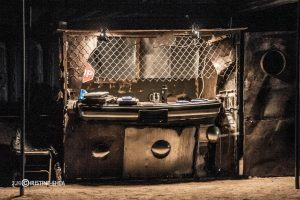 Bringing sideshow mayhem to multiple stages! 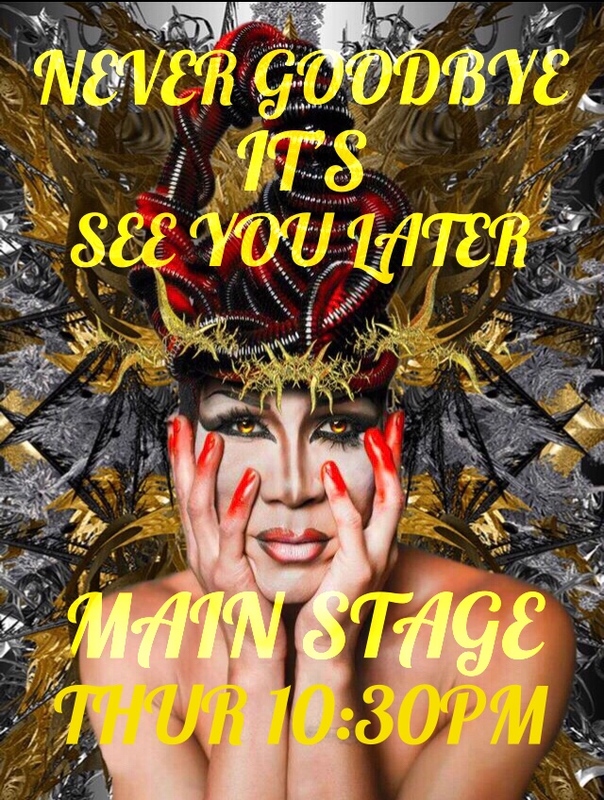 Lady Vajayjay is BACK for another signature Wasteland drag performance and new special guests. This epic fire performance group returns to the Wasteland. Previously, they’ve created amazing Fallout and Mad Max-themed performances. 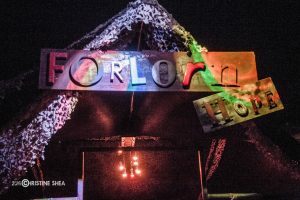 We can’t wait to see what they bring this year! 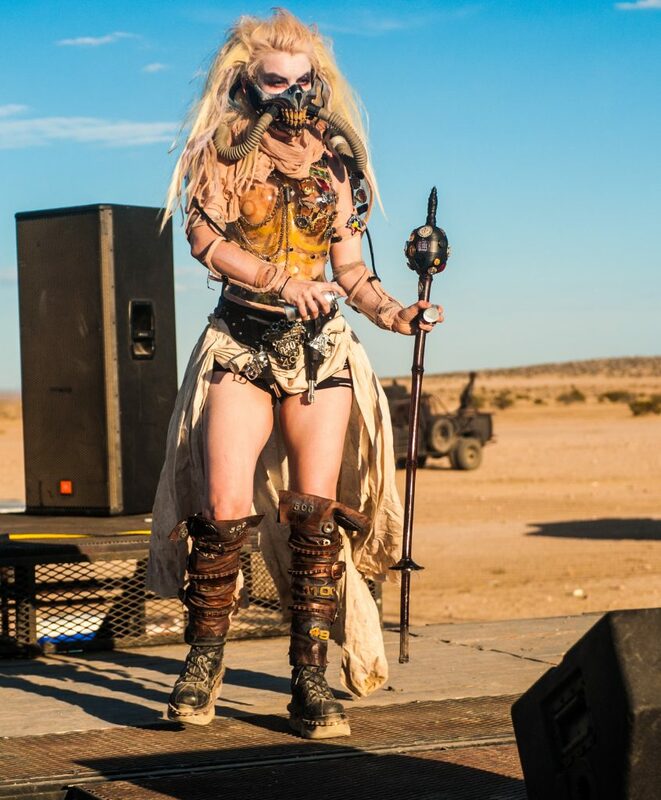 We have some incredibly talented solo artists coming to the Wasteland this year that you won’t want to miss! 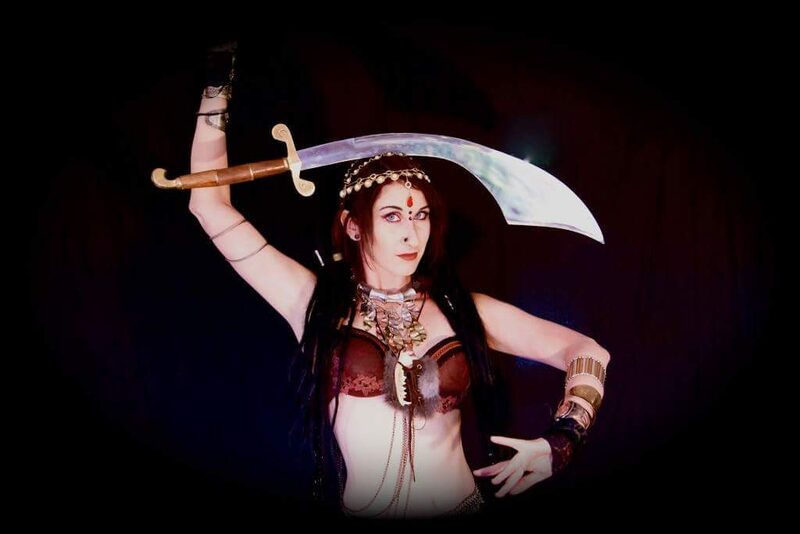 Hailing from the east and settling into the west this lady is nothing short of dangerous, a burlesque performer, cosplayer, and costumer always ready to take you to the Danger Zone! 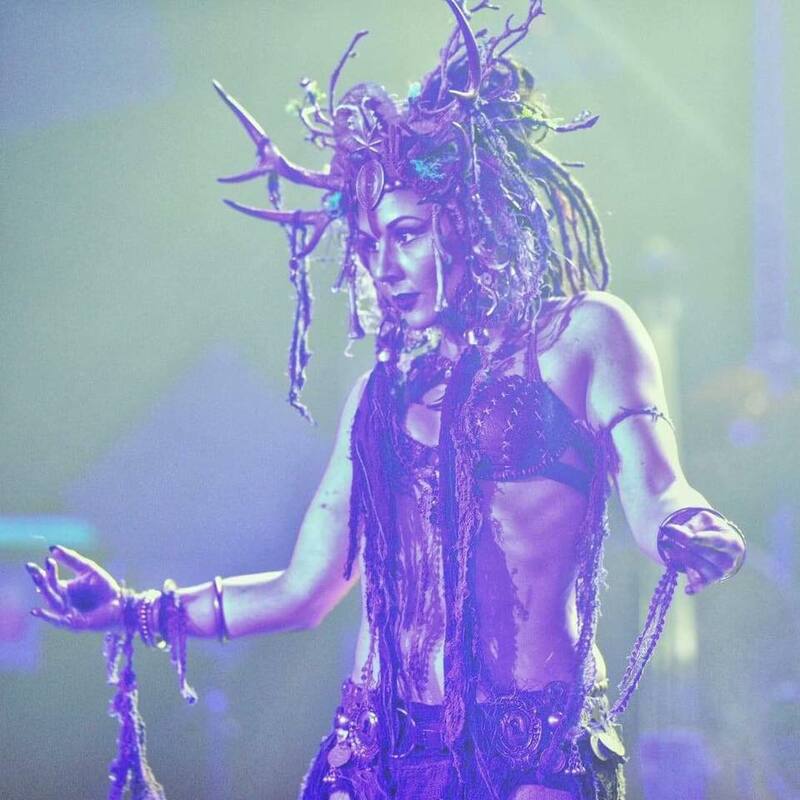 She’ll be bringing her grinding act back to the main stage on Friday night. THE PUPPETS OF THE APOCALYPSE! A lack of satellites sending shows means that in this new land of ours we return to old-school, analog forms of entertainment. 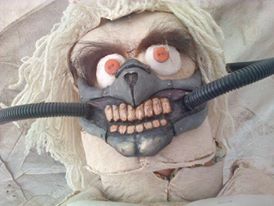 The puppets help us ‘member! 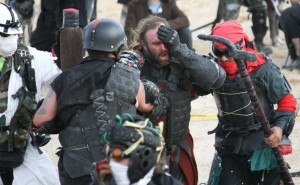 Watch them do their tell at the Wasteland side stages! 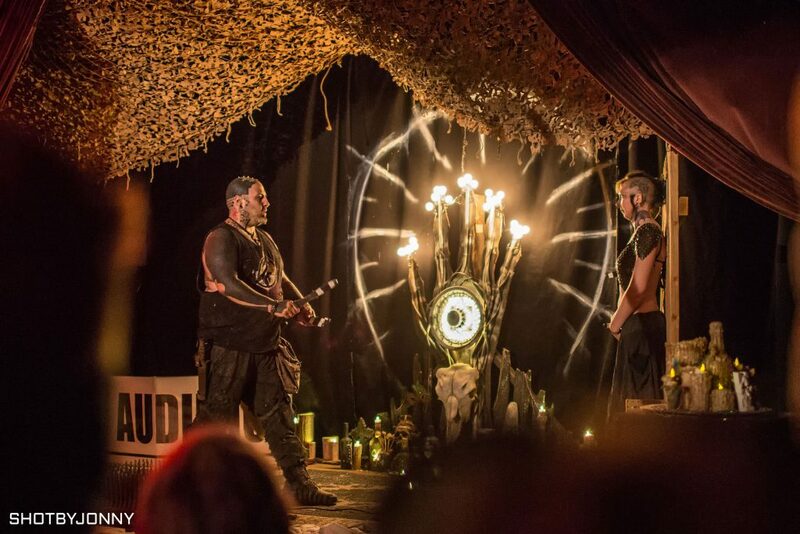 The sermon will take place on Sunday morning at a new location this year (to be announced) as we wait for a new Temple Of The Nuke to be constructed on our new homeland. 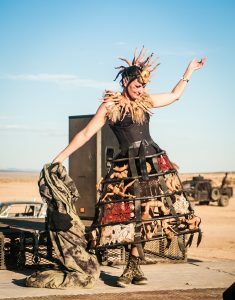 Returning from fabulous Lost Vegas and bringing burlesque, fire, and patriotic fervor. 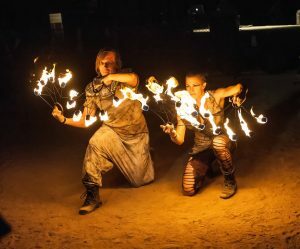 They once again have their own official side stage this year (the Bombshells Stage) where they will also be hosting other great acts, but they’ll also be doing sets at our main stage. 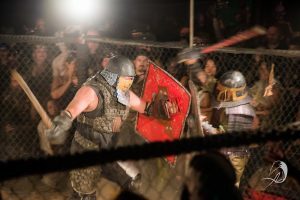 Wasteland Gladiators in the battle cage! 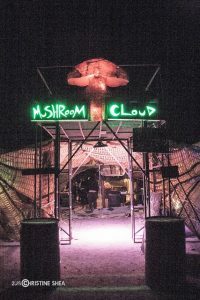 Located near the Atomic Cafe and main stage. Check posted signs for fight times. 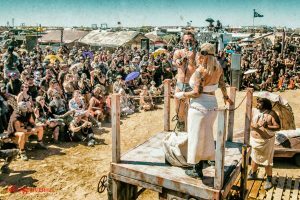 A newly-formed post-apocalyptic burlesque troupe, the Molotov Mollies are no strangers to the Wasteland, having performed on our sands before with various other groups. 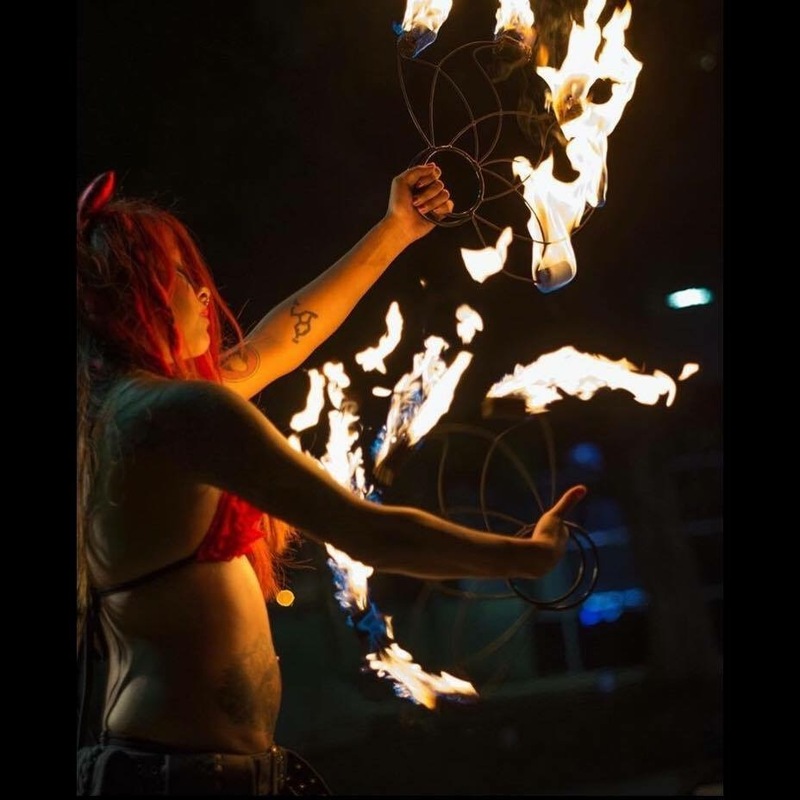 Their world is fire… and burlesque! 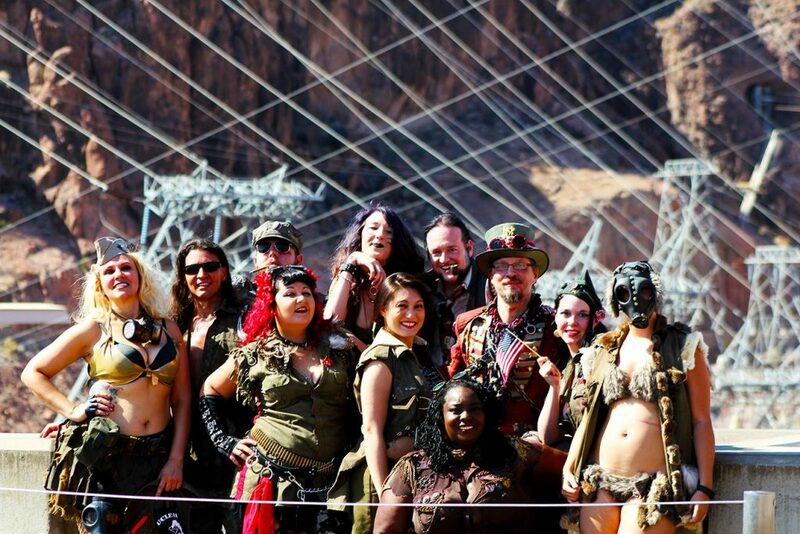 This legendary tribe has been at every Wasteland Weekend. 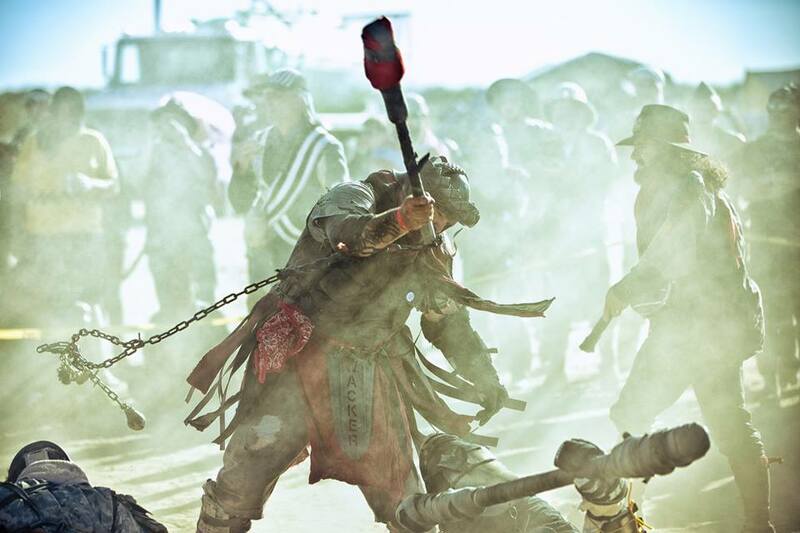 They’ll be playing a three-day tournament of the bloody, glorious, football-played-with-a-dogskull future sport known as JUGGER! 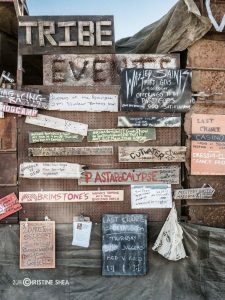 And as always, you can enjoy many of the day and evening attractions Wasteland City has to offer, like the Atomic Cafe, the Mushroom Cloud Lounge, the Forlorn Hope Lounge, the last public Library, the Wasteland Post Office, and more!